However, we’ve got a little secret to share with you. You can redecorate your rental home and remove your changes without leaving a trace once your lease is up. Our range of paste-the-wall designs in our Superfresco Easy wallpaper collection gives you the power to transform your rental property with ease. Printed on non-woven wallpaper, the range was specially designed to offer an easy decorating method for DIY novices. Stripping your wallpaper will be just as easy as putting it up, as our Superfresco Easy range comes off in one swift swipe. There’s no need for peeling leftover strips of ripped paper, each design can be removed when it’s time to leave the property. So now that you know how to wallpaper your way to a happy rental home and fill the blank canvas around you, here’s some inspiration to help you overhaul your rental property. Don’t worry, we won’t tell the landlord! Many rental properties begin life with clinical white walls, yet you’d be amazed at how much difference you can make simply by adding some textured wallpaper. 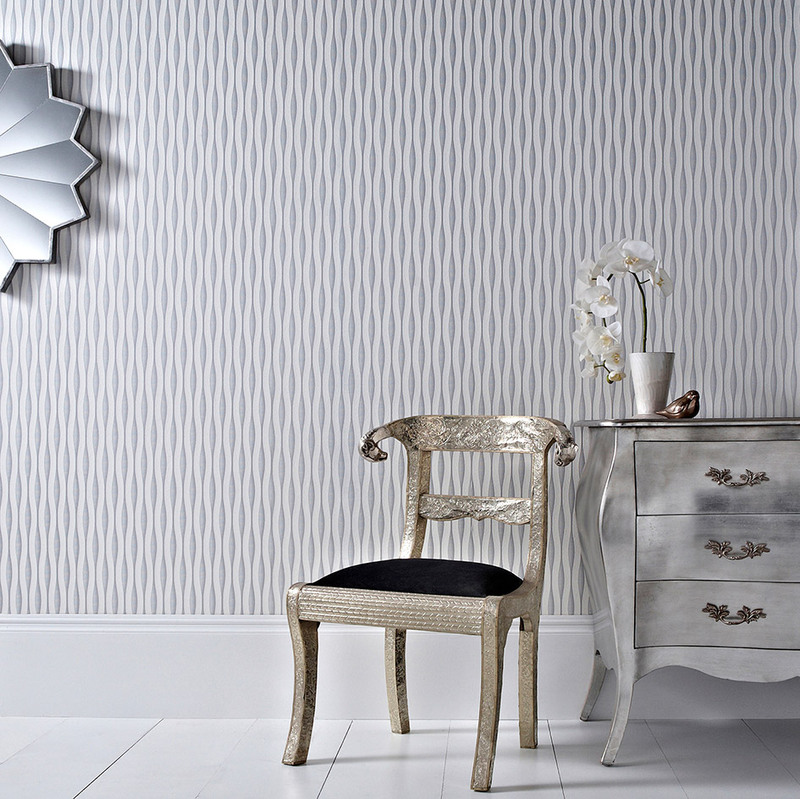 Our Lucid White/Silver wallpaper instantly brings an air of sophistication to any room. A subtle change that uses metallic elements on waves of texture to add depth to your interior design, Lucid’s wavy pattern gently flows from the ceiling to the floor, creating a calming atmosphere as it goes. But perhaps being starved of colour has left you yearning for bright beautiful blooms? 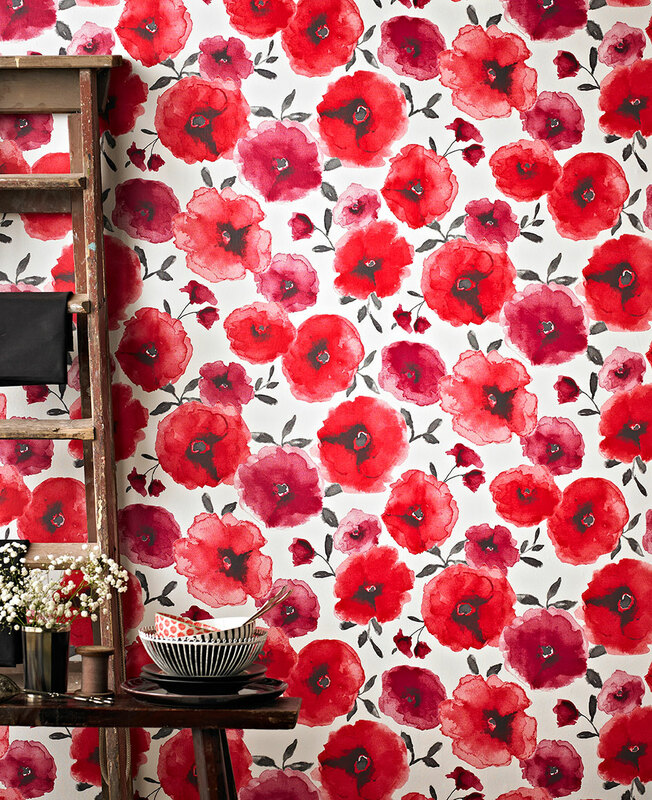 If so, our Poppies Red wallpaper may just be the design to curb your craving. An injection of vibrancy could really show off your personality and make your house a home. The rosy red hue brings a warming wave into your home that creates an inviting atmosphere for all. Such an intense backdrop can be removed in minutes to return the room to its former state, when you choose to move somewhere more permanent. Often when renting, all we want are some familiar home comforts. 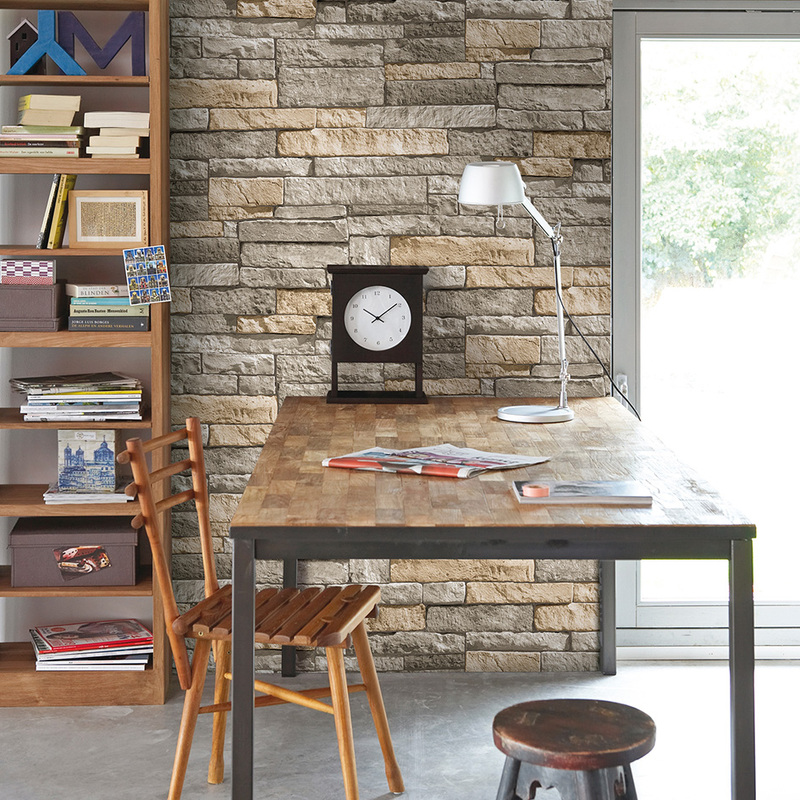 Our Ledgestone Grey/Terracotta wallpaper is a fantastic way to bring a homely vibe to your residence. With a slight rustic edge, this wallpaper can work in any room and any environment. Even rental city apartments will benefit from the way this wallpaper emulates the distinct sense of cosy cottages, giving a totally new look and feel to any room. Sick of staring at the white space left behind by your landlord? How about creating a total contrast with our Majestic black wallpaper? 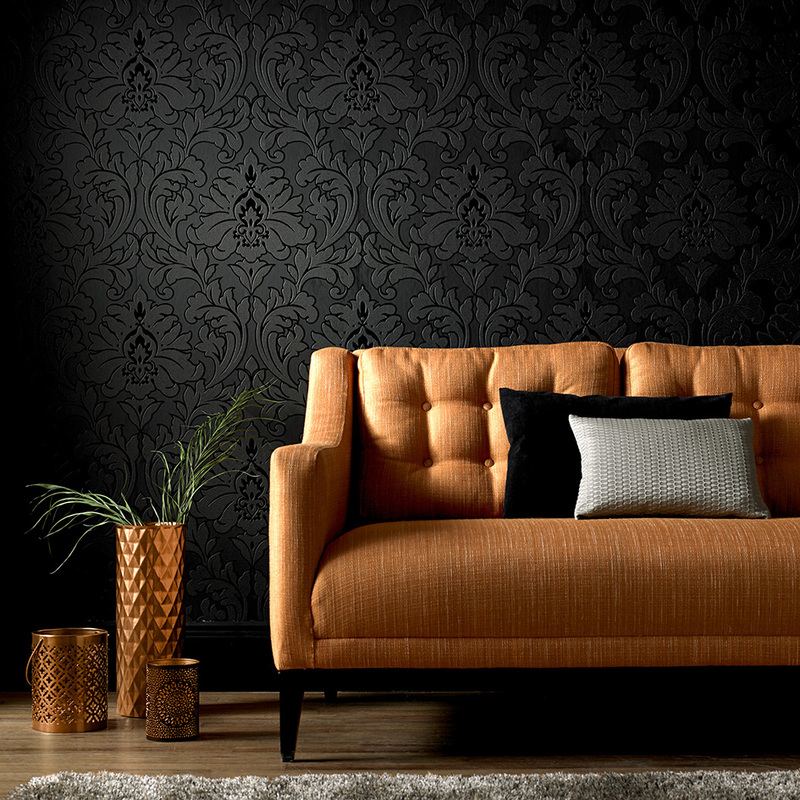 This decadent black wallpaper embodies a traditional sense of luxury that rental properties often miss. When it comes to traditional damask wallpaper, the amazing scrolls and swirls offer a sophisticated aura of elegance. Of course, there are also more subtle ways to put your stamp on a property, including our gorgeous range of wall art. 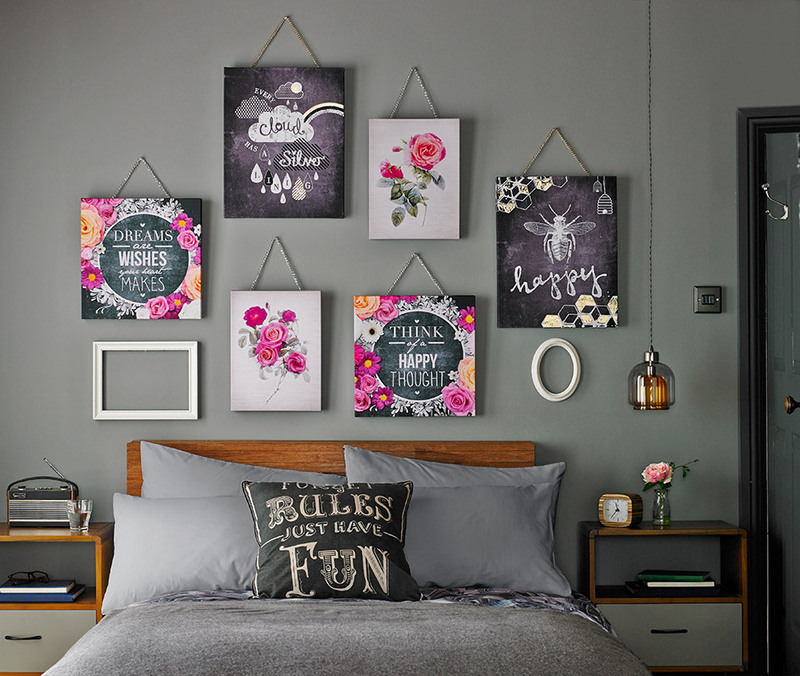 Our mixed media collection in particular adds the perfect splash of colour and character, with meaningful motivational quotes to lift your spirits. Hung from stylish golden chains, these printed canvases make the perfect temporary decoration for homes that lack that finishing touch of personality. It really is so easy to put your own spin on a property, no matter how temporary your residency, so browse our Superfresco Easy collection today and turn your house into a home.